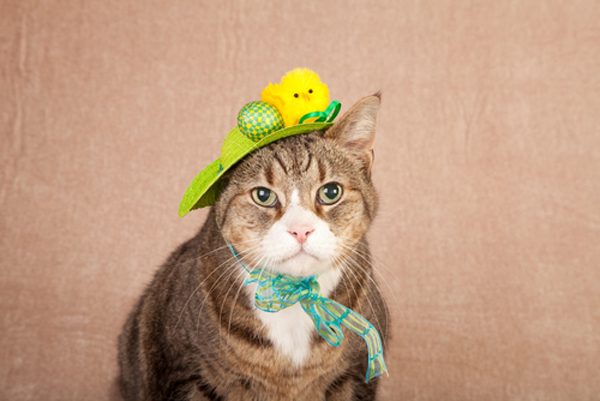 Next on The Scoop: Do You Have a Senile Cat? While we do not know the exact number of free-roaming community cats (formerly called “feral cats”) in the United States, almost every area has their fair share of them. Whether these cats are abandoned house pets or the unsocialized offspring of those house pets, without human help their numbers escalate quickly. The 1990s ushered in a new proactive way to help the cats and the community: Trap-Neuter-Return. From rural housing complexes to urban public enclaves, elected officials and homeowners’ associations from coast to coast are embracing TNR. 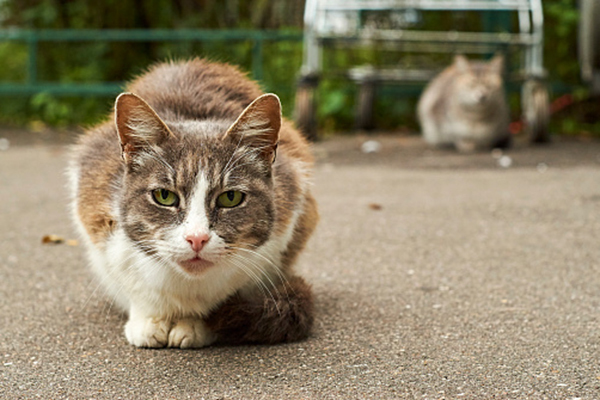 In honor of National Feral Cat Day today (October 16) — which Alley Cat Allies has expanded to Global Cat Day — we contacted the experts to find out the best ways to talk to officials about implementing a TNR program near you. A feral cat outside. Photography ©Dzurag | Thinkstock. First, identify the issues. 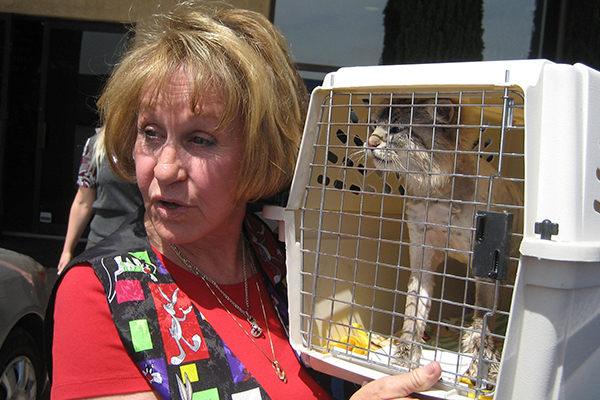 Community cats are an animal control and a public health issue. Impounding and euthanizing cats is expensive. Nuisance complaint calls are costly. Controlling rabies, disease and parasites is the town’s job. Community cats may not be at the forefront of any area’s concerns, but, if left unfettered, they could become a major problem. Next, talk about all the solutions but TNR. Feeding bans don’t work. You can’t ban free-roaming cats. Trap and euthanize methods are proven ineffective; it’s expensive and no one cooperates with you. Spell out how the areas get repopulated by other cats when cats are removed (the vacuum effect). Lastly, talk about TNR. The only sustainable solution to a burgeoning cat population is TNR. Clearly lay out the facts. It saves money, as most of the workforce is volunteer. If you sterilize enough cats, the attrition rate will substantially decrease the population over time. Kortis has been instrumental in getting TNR accepted in New York City since 2002, from Rikers Island to the Upper West Side and beyond. He cites the 2006 pro-TNR position statement from The Humane Society of the United States as helping inspire communities to change. Kris Neal with a cat. Photography by Denise LeBeau. St. George, Utah, resident Kris Neal, founder of One More Chance C.A.T.S., remembers first addressing her local city council. 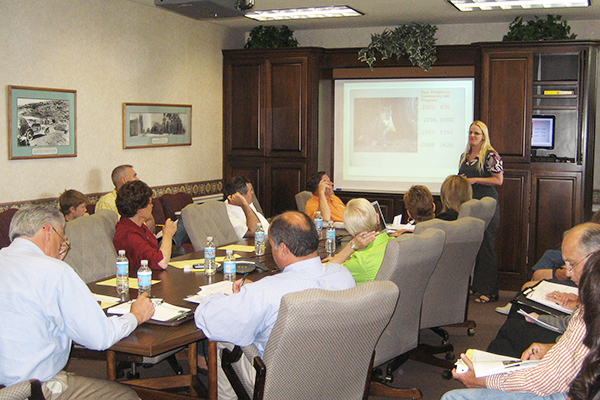 She looked professional and backed it up with a carefully crafted PowerPoint presentation. “Even though we left the City Council members scratching their heads and asking, ‘What? We need to keep them to get rid of them? 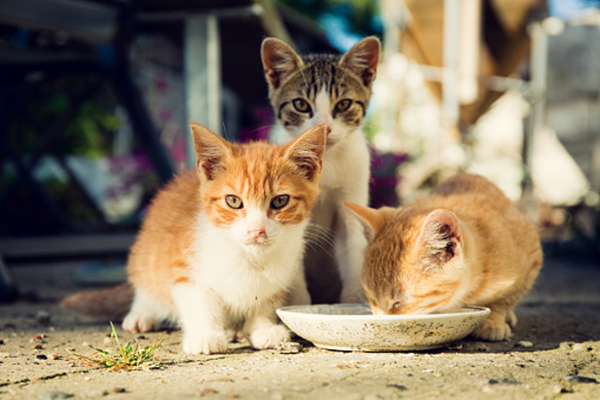 You’re going to put them back?’ We were heard, we planted a seed and presented them with a solution.” St. George officially started a TNR program, and no cats have been euthanized in the shelter system for over a decade. And the City Council member most keen on taking a chance on TNR? He’s now the mayor of St. George! Neal has also educated homeowners’ associations on TNR. Ceciley Bachnik lives in a high-end housing complex in Saint George, Utah. In 2009, she noticed cats looking for food on her patio. “I learned our HOA Board had the groundskeeper trap and remove the cats, taking them to Animal Control, where they were killed,” Bachnik says. She reached out to Neal. “Together we made a proposal to the HOA to adopt TNR for a trial period. A city council meeting regarding TNR. Photography by Denise LeBeau. Being able to effectively educate your elected officials or HOA Board to the benefits of a TNR program helps not just the cats but the whole community. Knowing the facts gives every animal advocate the ability to be a champion of the solution-based, money saving and results-driven prospects of TNR. Thumbnail: Photography ©BigDuckSix | Thinkstock.